Waking up in the morning is hard work. And if you take coffee out the equation it gets even harder. 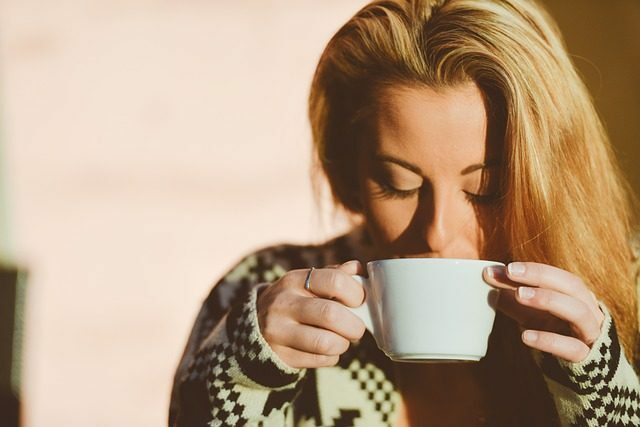 There are ways you can wake up in the morning without coffee, they might not be as pleasant but they can be faster and equally as effective if not more so. Ah the ginger shot, I tell everyone I meet all about the various health benefits of ginger shots and one of them is how well it wakes you up. I didn’t really believe them until I tried it and wowza, it burns but that spiciness certainly gets you pumped for the day! Not for the faint-hearted but it takes the least amount of willpower of anything on this list so worth trying. The ginger gives you a massive kick and the zingy feeling leaves you refreshed and bubbly plus the massive vitamin boost helps sustain you through the day. Ok, I take it back about the ginger shot not being for the faint hearted, it’s easy in comparison to the cold shower. Even a warm shower will help you wake up but not compared to the shock you get from a cold shower first thing in the morning. The cold blast shakes you awake like nothing else, stay under for as long as you can before turning the temperature up. Not quite as effective but a hell of a lot easier to do than a cold shower. A cold glass of water can have a lot of the same effects of shocking your body as a cold shower does without being so unpleasant. Plus hydrating is a good way to feel more awake in general. More health benefits than just waking you up but it works, out for a job=g and you come back out of breath but completely awake and energised. Just get some breakfast and a big glass of water right after and you’ll be sorted. Once again not quite as effective but more enjoyable. Get your favourite music on and jump around! Get your body moving, get the blood flowing and feel the tiredness washing away. Just don’t dance for 20 seconds and complain it hasn’t worked. Go on, full commitment. Dance your heart out for at least 2 songs. I’m guessing if you’re not having coffee it’s to do with having less caffeine so why not try a herbal tea instead. Sometimes you can trick your body if it’s already used to having a hot drink in the morning then feeling more awake. You don’t have the caffeine but your body feels the hot drink first thing and knows that next it has to wake up. Harder in the winter when the days get shorter but get the curtains open and let some light in. If you get up before the sun does then consider getting a sunrise alarm to help you wake up in the morning. It simulates natural light and can work really well to get you up and ready. I know you’re busy and don’t have time for breakfast but it really helps. Getting a carb boost first thing can pick you up no end. You haven’t eaten in 8 hours at least you’re probably starving! Give your body the energy boost it wants. I know, I know, I’m sorry. It’s really obvious but so many people overlook it. If you’re not able to wake up in the morning it could be because you need to get more sleep! Get to bed a little earlier, turn Netflix off half an hour sooner. Your body will thank you for it. Stretching is a great way to get the blood flowing, and once it starts flowing around your body faster you’ll wake up sooner and move around easier. I’m not talking a full hour yoga session (though that would be great if you can) just a few dynamic stretches to get you moving and get your energy levels up.